This is a week long introductory course which is open to anyone who is interested in learning how to use counselling skills and who is also interested in learning about themselves. These are skills that can be used at work or in your own personal life. 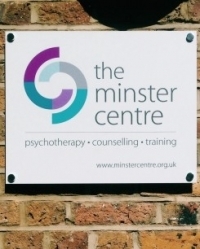 If you are considering a career in counselling this course will also prepare you for taking the Minster Centre's 'Foundation Course in Counselling' or the Fast Track Foundation Course. Counselling skills can help you gain insight into how to deal effectively and in a helpful manner with difficult or distressed people. On this course you will learn the basic counselling skills, such as how to accurately reflect back what the person is saying, summarising, and asking open-ended questions, but you will also understand and practice the skill of 'active listening'. This is where you learn to be with the person, and yet at the same time are able to step back, rather than simply responding as you normally would. This involves what are sometimes called the 'core conditions'. Here you will develop the ability to be with the person without introducing your own agenda, to accept on their terms what they are saying, and at the same time to be genuine yourself. Each session will be made up of three parts: theory, practice and self development - a structure which reflects a central idea in counselling that you need to understand the concepts, develop your counselling skills, and to become more self-aware.